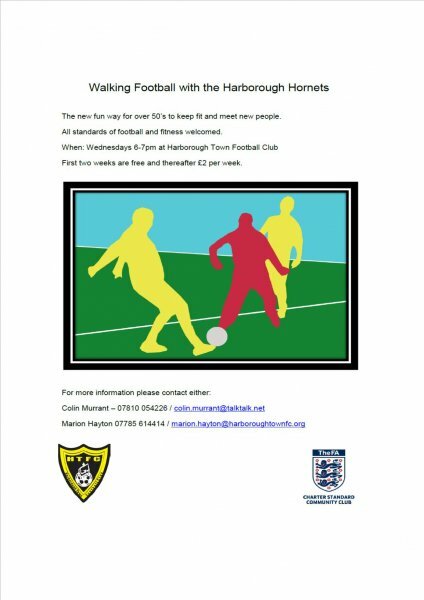 Walking football is increasing in popularity across the country, and this is no different in Harborough. As the population continues to grow older, we are recognising the importance of staying more active moving into our later years, so walking versions of sports are on the increase nationally. The walking football sessions are set up for those who want to either take up or continue playing, and just a good pair of trainers are required as will be indoor sessions or on artificial surfaces outdoors. Please use the contact details before attending a session in order to check final details. Not sure if you are ready for walking football yet but looking for a more relaxed, social way to keep playing? 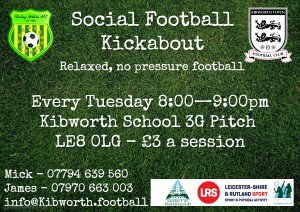 Why not come along to the social football kickabout at the 3G Pitch at Kibworth School - LE8 0LG every Tuesday evening 8 - 9pm.